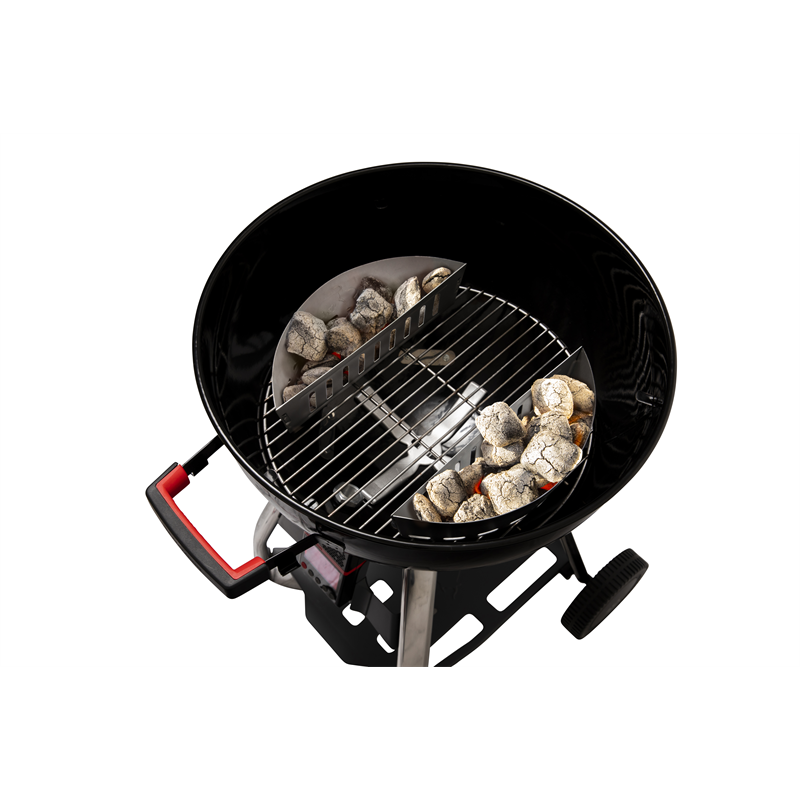 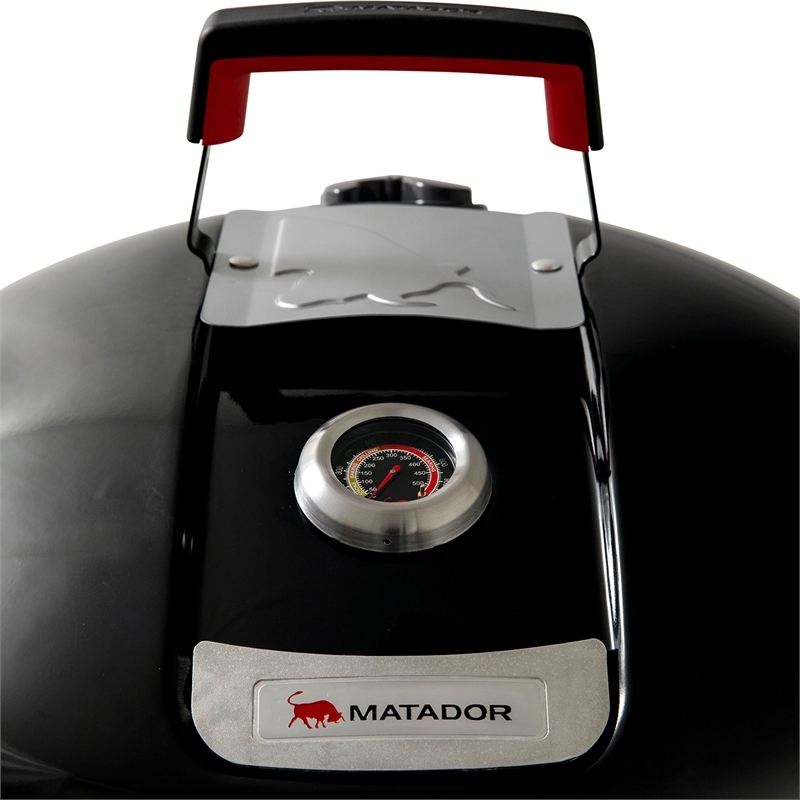 Master the art of charcoal cooking and cook like a Pro with the Matador Radiant Pro Charcoal BBQ. 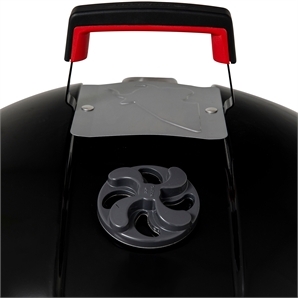 Take the guesswork out of temperature control for effortless low 'n' slow using the integrated air controller, which is designed to automatically regulate the temperature of the BBQ. 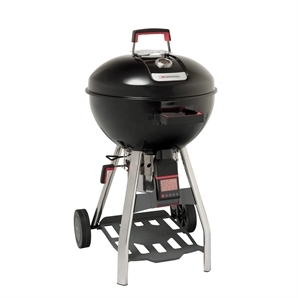 The air controller monitors the temperature inside the BBQ and activates a fan blower system when oxygen is required. Simply set your desired temperature, and monitor using the controller unit or via your smartphone. 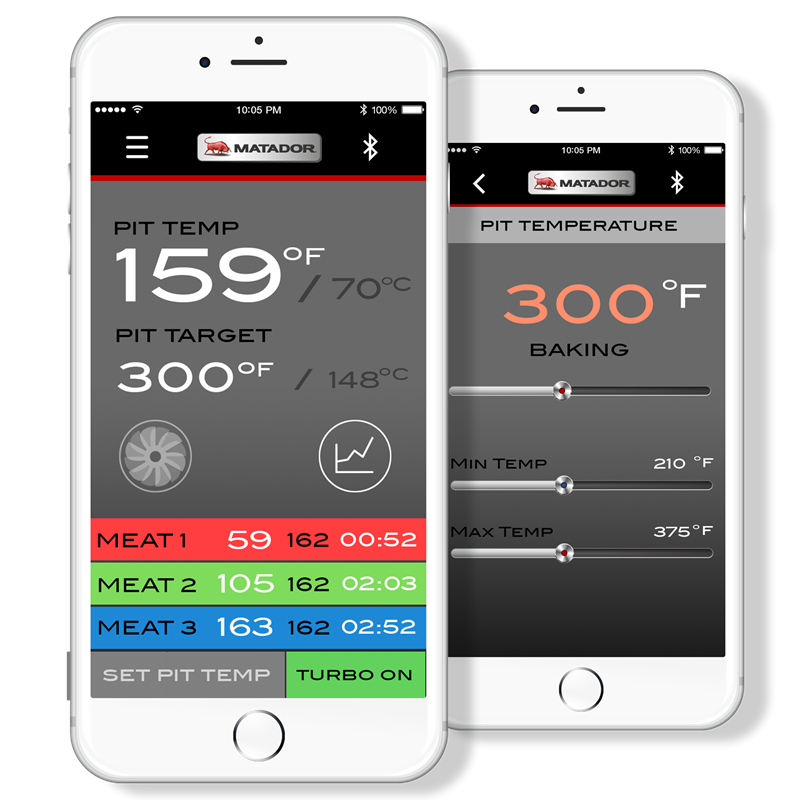 You can even monitor the cooking progress of your food with 3 meat probes included. 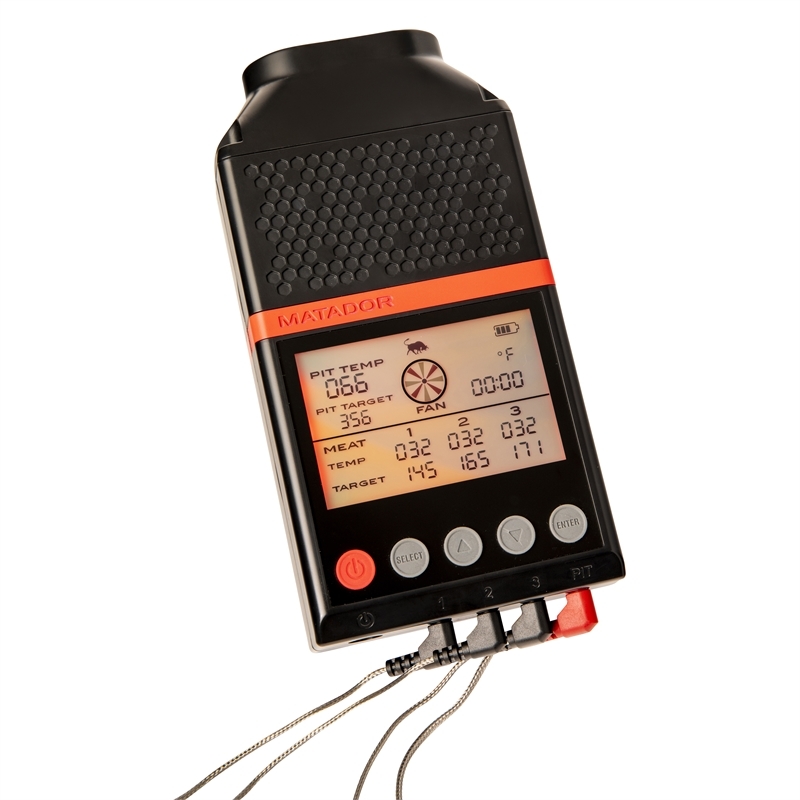 Fan controller regulates temperature for perfect results every time. Maintain complete control from start to finish. 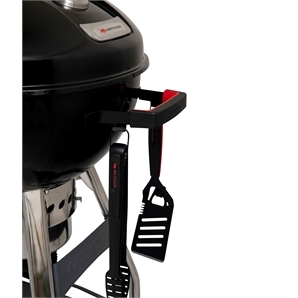 Powered by a lithium battery it gives you the convenience to cook anywhere you like. Optional USB power cord included. Control and monitor you Fan Controller via the LCD Screen or remotely using your smart phone and the Radiant Pro App. 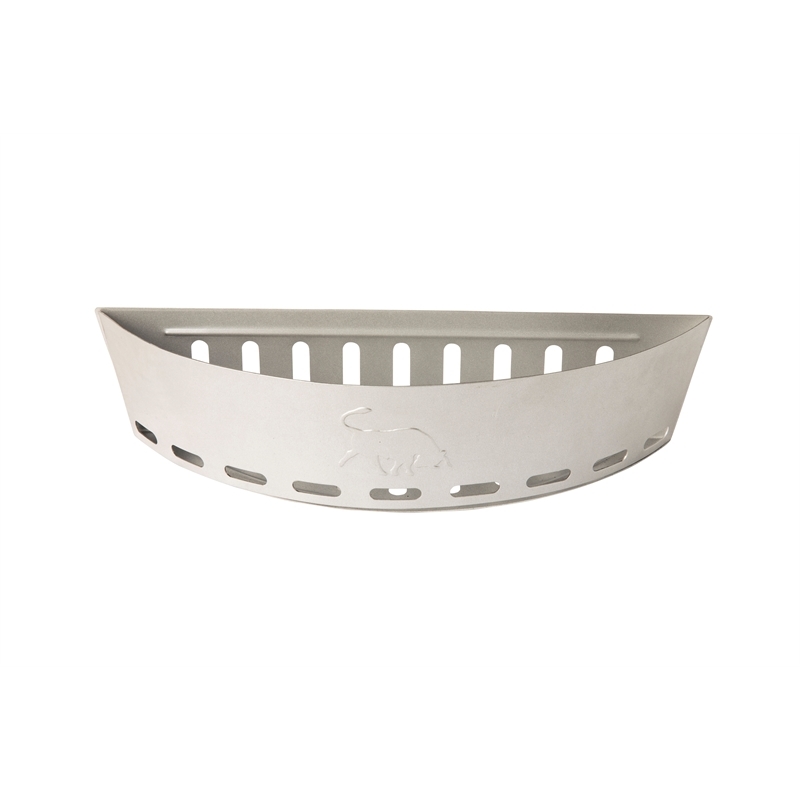 2 included Charcoal Baskets allow you to control your fuel placement to suit your direct or indirect cooking preferences.